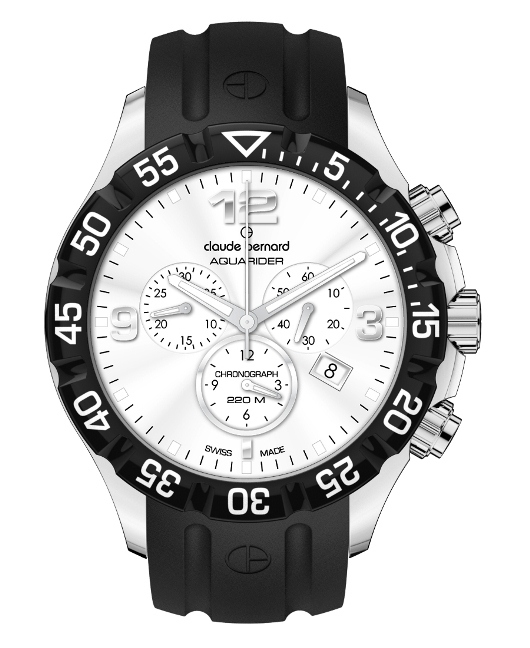 If your interests take you to extremes, you won’t want to be without a Claude Bernard Aquarider timepiece. 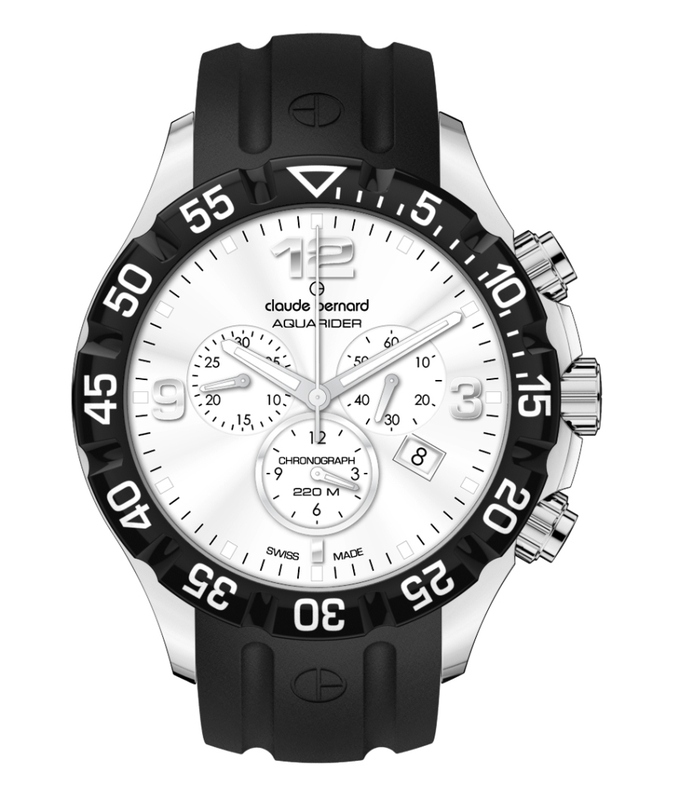 These fashion forward and eminently functional sport watches have practically reinvented the category. Aquarider timepieces are not only ruggedly built and extremely reliable, they are also renowned for sophistication and style. 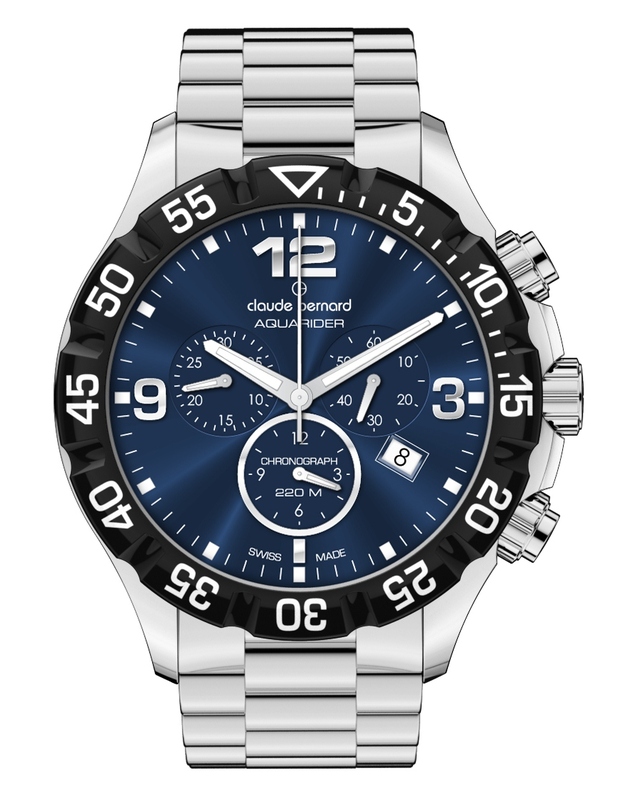 The Aquarider Collection comes in two basic configurations: a diver style watch with a unidirectional rotating bezel and a pilot style design with a tachymeter bezel. Both designs are hand assembled at Claude Bernard’s workshops in Les Genevez, Switzerland. 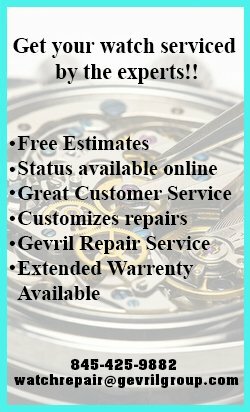 Only the finest materials are used, including precision Swiss made quartz movements that provide rock solid, reliable service under the most demanding conditions. 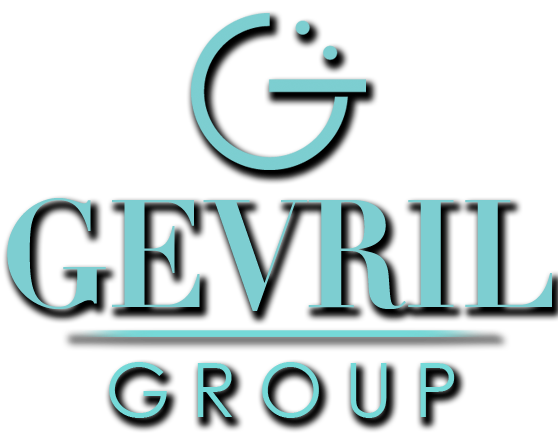 Diver models are available in a variety of popular colors and are water resistant to an amazing 720 feet. 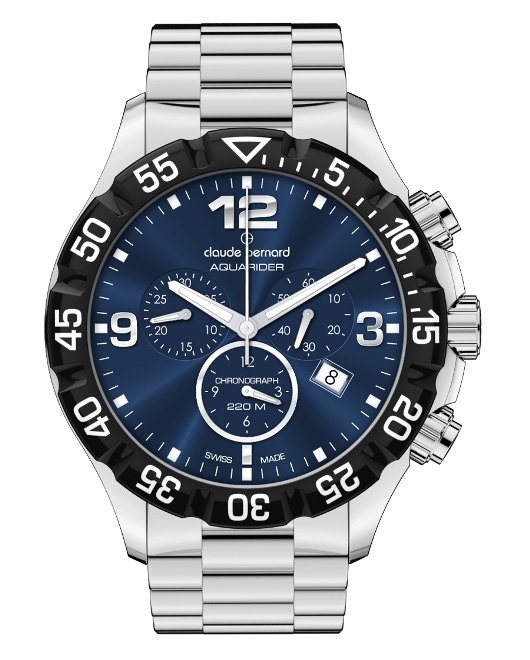 With a protected screw down crown, a rotating diver bezel, a tough 316L stainless steel case, a scratch resistant sapphire crystal and full chronograph functionality, these Aquarider timepieces are ready for anything. Aquarider watches can be equipped with your choice of a comfortable caoutchouc strap or an integrated stainless steel bracelet. 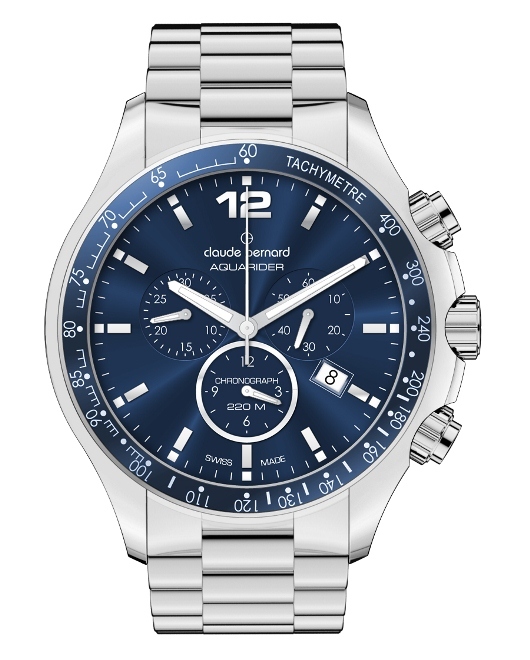 Although Claude Bernard watches aren’t as well-known as some of their famous Swiss neighbors, they have earned a well-deserved reputation among discriminating watch aficionados around the world. 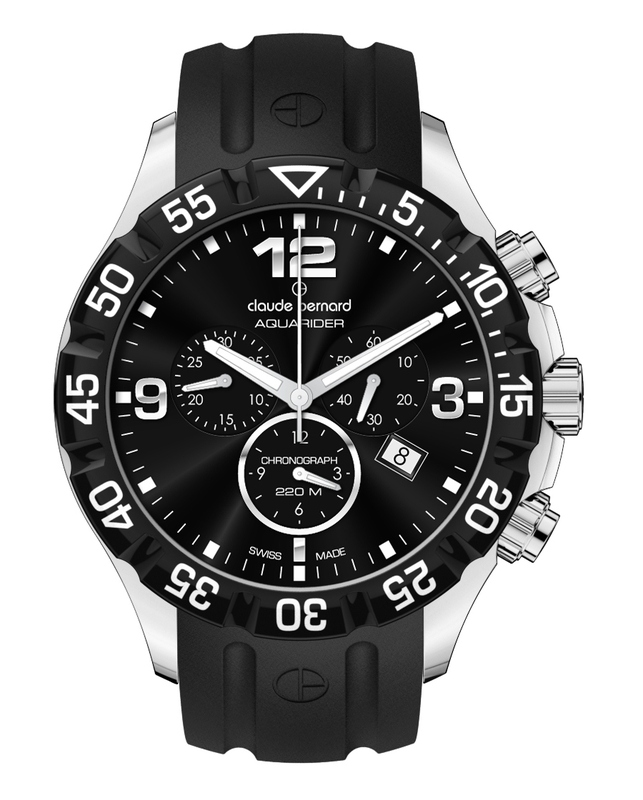 Anyone who understands fine timepieces was quick to notice the tremendous value that a Claude Bernard timepiece represents. 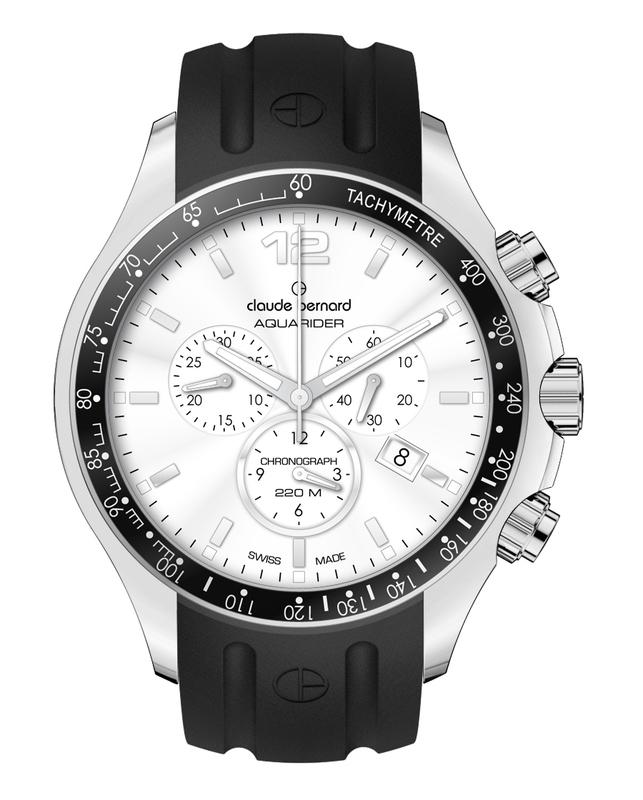 By combining traditional Swiss quality and craftsmanship with an uncanny sense of what is trending in the fashion world, Claude Bernard has done what few manufacturers have been able to accomplish: they’ve been able to marry the old with the new in a way that genuinely appeals to customers. If you’d like to experience what one of these amazingly versatile watches can do for you, contact an authorized Claude Bernard dealer today and ask to see the Aquarider Collection.